Your RV’s house battery system is the very heart of your recreational vehicle. This is made up of deep cycle batteries designed to store huge amounts of energy to keep appliances and accessories in your RV running and functioning. The batteries are made to last long, and when properly taken care of, could last up to five years, even more. 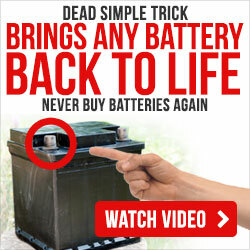 If you’re wondering how to charge a trailer battery at home, well, there’s not a single method that works for everyone. Nevertheless, we will try to cover as much as possible. First, let’s take a look at what house batteries are all about! The typical house battery systems for RV are composed of deep cycle, 12v batteries. These batteries store 12v of electrical energy and are designed for hundreds of discharging and recharging cycles. They do not discharge as quickly as engine starting batteries, thus, the name deep cycle. Engine starting batteries, on the other hand, are designed to deliver quick burst of very high energy to crank up an engine. Unlike deep cycle batteries, they are not designed for repeated discharging and recharging cycles. Meanwhile, deep cycle batteries are measured in Ah, also known as amp-hours. They can range between 33ah and 200ah, and weigh up to 170 lbs., depending on the type. The minimum capacity for recreational vehicles is one Group 24 battery. This is able to provide 50ah, although you’d want to look for something that’s able to deliver 70ah to 80ah. You can also use two Group 24 batteries connected in parallel, which will be able to provide twice the Ah. You actually have the freedom to build battery banks with larger capacities if you need to. Some luxury trailers even use four Group 8D batteries that are able to deliver oner 1000ah. Just remember that you don’t mix batteries by type, brand, and capacity. Doing so will result in serious problems for your vehicle. Depending on which part of the world you are, a deep cycle battery could cost between $50 to $500. This is why it’s essential that you know how to maintain your RV’s battery system properly. One such way is by educating yourself about the different charging options. You may think that the subject of charging RV batteries is a simple one, but it’s not. It’s actually very complex, considering the number of options available. Not to mention the electronic terms you may need to understand. For the sake of our readers who are not really into electronics, however, let’s make things as simple as possible. When you think of battery charging, the first thing that comes to mind is a piece of equipment that you connect to a discharged battery to recharge it. That’s actually understandable because the most basic charging system is the converter charger. This charging system works by converting 120v of shore power to around 12v. While it’s a very useful charging system, it’s not the best option out there. The reason is that it can only charge batteries up to 5amps. While it can provide 40 amps or more for your system, it may take many hours for it to completely charge an empty battery. The inverter-charger is another common type of RV battery charger. It’s a multi-stage charger and is very popular among Class A motorhome owners. It works very similarly with a converter charger, although with some more advanced features. And just like a converter charger, it is able to provide 120v to charge your 12v battery. Utilising the sun’s power for charging batteries is one of the most common innovations used nowadays. Currently, there are mixed reviews on the efficiency of using solar panels for RV use. However, the first thing to consider before going this route is that it takes efficient planning and consideration of several components. A typical solar charger set-up uses one up to several pieces of flat panels attached to the roof. Each solar panel can charge up to 3-5 amps in an ideal scenario. If you need 25 amps or more for charging, then you would need five panels or more to make it work. Just do the math! What is the best scenario for maximum solar charging you ask? First, the sun must be up and shining brightly. However, a lot of reviews from campers who use this power charging source report that it still works even on cloudy days. Second, the panels must be positioned directly towards the sun. Another battery charging option that’s very common to RV owners are generators. These are powered either by diesel fuel, propane, or gas and are an excellent alternative when no shore power is available. One advantage of a generator is that it’s readily available at any store and has enough power to accommodate an entire RV. It can have as much as 3500 watts of power, more than enough to supply energy for your TV, microwave, laptop, and other accessories all at once. It can also provide power for your converter or inverter charger. For charging your house batteries, a portable 500-watt generator supplying a power to 40 amp charger should be enough. If you want a generator that would power your house battery in less time, then you will need a 4,000-watt generator instead. The only downside of a generator is that it can be a bit noisy, something your neighbors might not appreciate. Also referred to as a “maintainer,” a trickle charger is designed to keep your RV battery system at 100%. As its name suggests, it charges your battery at a very low amperage. A trickle charger may be small, but some models come with advanced charging technology. Some, for instance, uses float charging, which keeps your battery at a certain level after being fully charged. Some even have features that cause the charger to automatically switch on and off according to the battery’s charge level. Wind chargers are another option, which can also be used side by side solar chargers. It requires a propeller to drive your alternator and charge your RV’s battery. Wind turbines for RVs are often limited in size, and therefore, may not be able to supply enough energy for extended periods. It may work if you’re camping in the desert or some mountainous area where the winds are strong, but if you’re in the city, it just might not be that ideal. Whichever method you think would work for you, always remember that charging your RV’s battery is not as simple as charging let’s say, a phone. We’re talking about large batteries and battery systems, so it’s important to understand the safety basics of charging RV batteries. Make sure the RV is turned off. Before charging the batteries, make sure that your vehicle is parked properly to avoid injuries. Use the correct tools for the task. If you need to remove the batteries for charging, make sure you use the correct tools to get the job done. Wear heavy gloves and use a wrench to remove the cables. Clean the batteries if necessary. If you notice any corrosive substance coming out of the battery, see to it that you clean it first before proceeding with the charging. Apply your cleaning solution and wipe it off using a damp piece of rag. Check whether water levels are normal. The batteries may need some maintenance, so check the water levels before charging. Allow the battery to charge fully. Regardless of what charging option you’re going to use, make sure you allow the battery system to charge completely. Take extra precaution at all times. Finally, make sure that you observe safety precautions at all times. Again, wear heavy gloves and use only the required tools for the job. If necessary, you can also use some mask and eye protection. RVs that primarily use shore power should do well with one Group 24 battery with 80ah. On the other hand, if you’re using your RV for boondocking, then you will need something with a higher capacity unless you plan to turn off all your accessories at night to save power. In this case, you might also need to use solar and wind power to supply energy to your RV. More often, such power sources should be enough to power some of your accessories, including a television. If you want to be able to use the TV, refrigerator, clothes iron, etc. all at the same time, then you will need Group 8D batteries with 1000ah or more. Some achieve this by installing golf cart batteries. Meanwhile, luxury motorhomes typically run with the help of Group 4D batteries (deep cycle) with 800ah or more. However, this setup might need the help of a 10,000-watt generator, which should be soundproofed, or you will have to bear the loud noise. 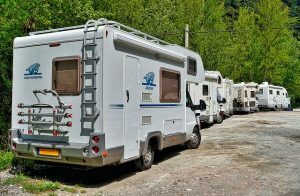 With this in mind, it’s important to consider your personal RV needs when thinking of how to charge a trailer battery at home. Different RV users will need different methods of charging, so what works for another may not work for you.